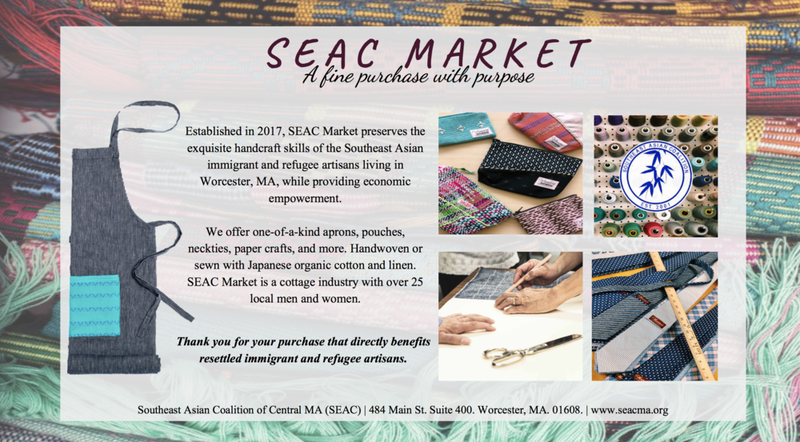 SEACMA provides studio space, equipment, materials, and training to clients with skills in sewing, arts and crafts, website design, food services, etc. and connects them with other business owners such as local banks and the Small Business Administration. We ready them for success via micro loans, business plans, marketing, trends, tax, and other aspects of business ownership. SEACMA focuses on assisting immigrant artisans who face language and cultural barriers to starting businesses. We provide small business resources for our clients of weavers, seamstresses, jewelry makers, and metal-smiths. Learn about financial literacy, English skills for the workplace, steps for starting a small business, and marketing. For more information about the small business technical assistance grant program please contact us.